I love this question. Of course, I do not think I could ever answer a question like "what is your favorite book?" I need to be able to list at least a few titles. I was speaking with another parent during my son's gymnastic class this past Monday. We were both reading the same book and we spent much of the time talking about the book we were reading and other books we enjoy. It was really a great conversation for a book geek like myself. It was also nice because the individual I was speaking with was a classmate of mine from back in the day at good old Carlson High School. The question came up as to what were some of my favorite books, and I had to step back and think for a minute. My taste in books varies all over the place (much like my taste in music, but that is another story). For the purpose of this entry I throw out five of my favorites (in no particular order) and why I enjoy them. 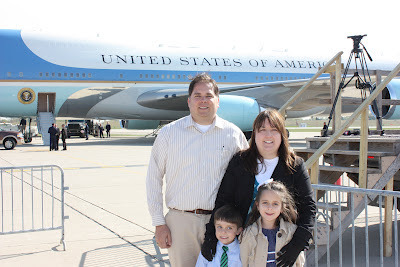 Of course, a list of favorites could be much longer as I could write forever on this topic! Of Mice and Men by John Steinbeck: I love Steinbeck. I fell in love with his work way back as a sophomore at Carlson High School. This novel was required reading in my English 10 class. This was one of the few required titles I actually enjoyed reading back in high school. 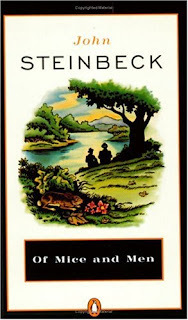 On my own I went on to read most of Steinbeck's works. Such a great story of friendship and the struggles of the working man. I have read and re-read this novel numerous times. 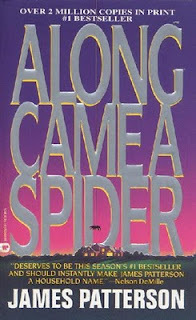 Along Came a Spider by James Patterson: Ok, some may think Patterson has just become a book factory, kicking out new (lousy) books every few months just to make a buck. The Alex Cross novels are some of Patterson's best works. I have read most of them. Along Came a Spider is one of my favorites, and was made into a feature film. Great action and short chapters, which helps when you only have a few minutes here and there to get some reading in (which is the case with two young children at home)! 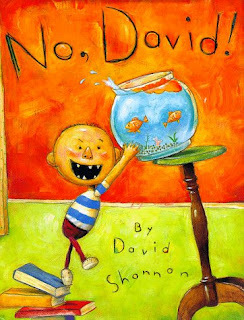 No David by David Shannon: Speaking of my little ones, I have read a ton of new children's literature over the past five years. There is some really great stuff out there (to go along with the classics like Where the Wild Things Are). No David is a great book, especially if you have a young son at home. Anyone with a little guy running around their house can relate to this book. I loved hearing my three year old son Nate reading this book. It brings a big smile to my face each time he yells out "No David!" No, David! Or Should I Say No, Nate! The Hunger Games by Suzanne Collins: Yes, I did just read this book a few weeks ago, yet I still believe it is one of the best I have ever read. I wrote an entire post on the novel here! 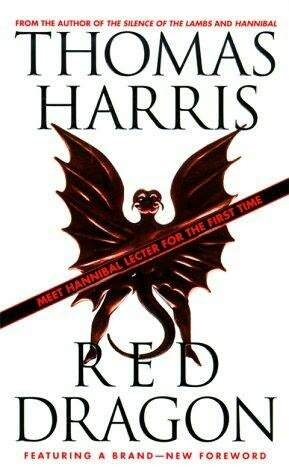 Red Dragon by Thomas Harris: Do you remember how fantastic the film The Silence of the Lambs was? It won numerous awards and was a great film. The film was based on the novel of the same title by Thomas Harris. While Lambs may have been the best film in the Harris series, I do not think it was the best novel. The nod for best novel in the series has to go to Red Dragon. This book actually had me on the edge of seat, literally. I remember gasping as I read this book on a beach on the Carolina shore years ago. I could not read it fast enough. Also, if we are using films as a measure of greatness, this book was so good two film versions have already been made Red Dragon 2002 and Manhunter 1986. I actually think both films are pretty good as well, not as good as the book however. So what are some of your favorite books? Have you read any of these five authors and/or titles? Again, I could list a number of books or authors, but I wanted to start with just five. Feel free to let me know your favorites or why you do not like my choices. I have thick skin and can take it, trust me! Oh and the No, David books are great. There is a bunch of them. Your little guys will like them! You need to pick a book with humor next week. I love "No, David" and my 2 year old daughter loves it maybe even more than my son. Books... Hmmm my top pick of course is To Kill a Mockingbird. Oh and I am almost ashamed to admit but I really did love the Twilight books. Funny that those two even fit in the same category seeing Twilight isn't the best writing... just ask the critics. I will try Potter, not got going to try the Twilight books (even if Mike Dexter is in the movies) Humor, I loved Al Franken and Jon Stewart's works. I may have to pick up the the new Stewart book as a matter of fact. I also just finished Sh*t my dad says by Justin Halpern, it was pretty good. Thanks for your input Bench Warmer. The Hugo Black title looks like an interesting choice. I know nothing of the man and I enjoy U.S. history. I do have some Shaara novels in the Carlson Library, but not Steel Wave. I will check it out. Happy Thanksgiving!